Please type your desired tags, e.g. Tumor Microenvironment, Economics, Political Science, Psychological Sciences, Functional Genomics, Consulting, Organizations, Strategy and International Management, structural dynamics, Healthcare Administration, Social Change, Education, Public and School Libraries, Higher education, Twentieth-Century American Literature, Trope of monstrosity in literature and film, and etc. Member, Doctoral program committee 1999 – current. Member, Facilities committee, 2003 – current. Member, Teaching committee, 1998 – 2003. Member, Search committee for tenure track position in Accounting and Information Management, 1999 – 2003. Member, Intellectual contributions committee, 1999 – 2001. Member, Student union fee and student fee advisory committee, 2001 – 2003. 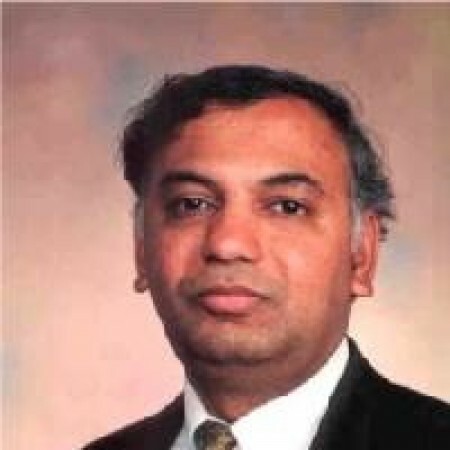 Chair of the examining committee for Sathya Peri, Ph.D. in Computer Science, Summer 2007. Chair of the examining committee for Adrian Novischi, Ph.D. candidate in Computer Science, May 2005. Chair of the examining committee for Yingtao Jiang, Ph.D. candidate in Computer Science, June 2001. Ad-hoc reviewer for The Accounting Review, Review of Accounting Studies, Journal of Accounting, Auditing and Finance, Contemporary Accounting Research, Journal of Management Accounting Research, Journal of Business Finance and Accounting, Information Technology and Management, Annual meetings of American Accounting Association, Canadian Accounting Association and Managerial Accounting Section of American Accounting Association. Section Representative of Management Accounting Section to the National Meeting Programming Committee. 2005. Conference Organizer (Program Chair), Management Accounting Section, Annual meeting of American Accounting Association 2006. Responsible for finalizing papers (after a peer review process) and panels for 19 parallel sessions for the management accounting section. Chair, Best paper award committee, Annual meeting of American Accounting Association (Managerial Accounting Section), Chicago, 2007. Merit scholarship, Government of India, 1975 – 1976. Third rank in the state (pre-university exam), 1976. Merit scholarship, Indian Institute of Technology, 1976 – 1981. Merit scholarship, Indian Institute of Management, 1983 – 1985. Dean’s fellowship, The Wharton School, 1989 – 1991. Represented the Wharton School in the Doctoral Consortium, 1990. 1986 - 1988: Project Manager, Pond's (India) Ltd., Madras, India. 1985 : Assistant Consultant, A. F. Ferguson & Co., Madras, India. 2002: Cox School of Business, Southern Methodist University. 2001: Graduate School of Business, Texas A&M University; Price College of Business, The University of Oklahoma. 1998: School of Management, The University of Texas at Dallas. 1993: School of Business Administration, University of Michigan. 1992: School of Management, Yale University; Graduate School of Business, University of Chicago; Sloan School of Management, Massachusetts Institute of Technology; Kellogg Graduate School of Management, Northwestern University; Simon Graduate School of Business, University of Rochester; School of Industrial Administration, Carnegie Mellon University; Cox School of Business, Southern Methodist University; Owen Graduate School of Management, Vanderbilt University. American Accounting Association’s annual meeting, Anaheim, California. Discussant, Global Management Accounting Research Symposium, Michigan State University, June 17, 2007. 2004: Management Accounting Section Research Conference, Miami. Performance assessment and measurement system: Uses, impacts and effectiveness. Discussant for three papers in the session on “Performance evaluation” American Accounting Association’s annual meeting, Orlando. 2002: 25th European Accounting Association Congress, Copenhagen, Denmark. A balanced scorecard analysis of performance metrics. Performance measures for plant managers; Responsibility accounting revisited. Environmental, strategic and structural determinants of information systems design choices. 2001: European Accounting Association Congress, Athens, Greece. Economic drivers of decisions to use ERP: An empirical investigation. The Texas Symposium on executive compensation, The University of Texas at Dallas. Are plant managers responsible for costs or profits? The Texas Symposium on balanced scorecard. The University of Texas at Dallas. Drivers of CFO’s satisfaction with performance measurement system. 2000: The Annual meeting of The American Accounting Association, Philadelphia. Are selling and general administrative costs sticky? 23rd European Accounting Association Congress, Munich, Germany. Estimation of monotone and concave or convex functions. Management Accounting Research Conference, Orlando, Florida. Stock option awards and exercise behavior of CEOs: An empirical analysis.